New, more sturdy and improved! 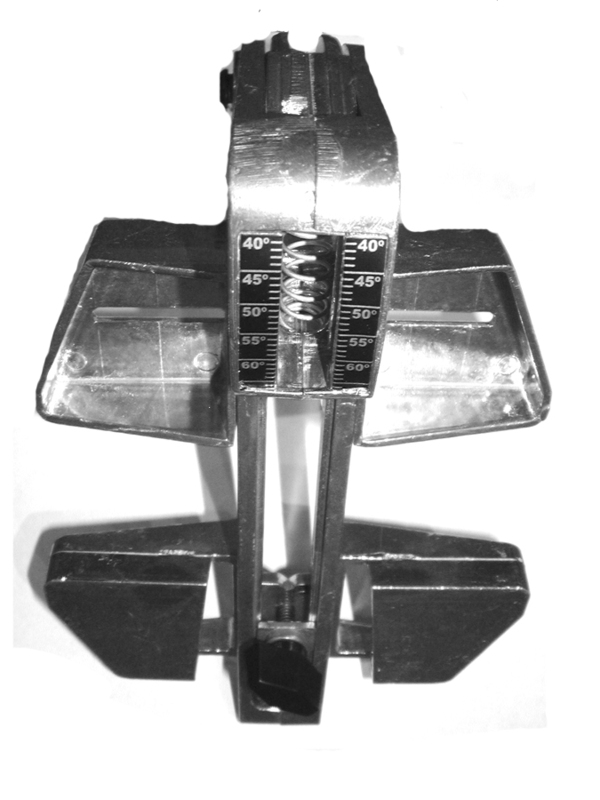 Based on the T-square principle, the patented Finnegan Gauge measures both medial-to-lateral balance and hoof angulation. Built from aluminum and adjustable to fit all hoof sizes, it is accurate and easy to use. Comes with marking pencil and instructions.